That said, I’ve now visited Alaska three times in the last decade. I love the place. In 2004, Kris and I went on an Alaskan cruise with her parents. In 2010, a friend and I spent ten days in southeast Alaska on my neighbor’s boat. And last week, Kim and I took another cruise into the wilderness. We had a good time. On the trip, I discovered the iPhone’s panoramic photo mode. It’s like a revelation! Whole new worlds of photography are available for me! So, if you’ll indulge me, here are some of the best photos from the trip, including a few panoramas. Our sister ship, the NCL Jewel, and two others docked in Juneau. On the NCL Pearl somewhere in sunny Alaska. Kim is on the right, chatting with new friends. On the top deck of the NCL Pearl, gawking at the glaciers with other tourists. We spent a LOT of time in the Pearl’s spa. Kim is to the left, chatting with Leah. 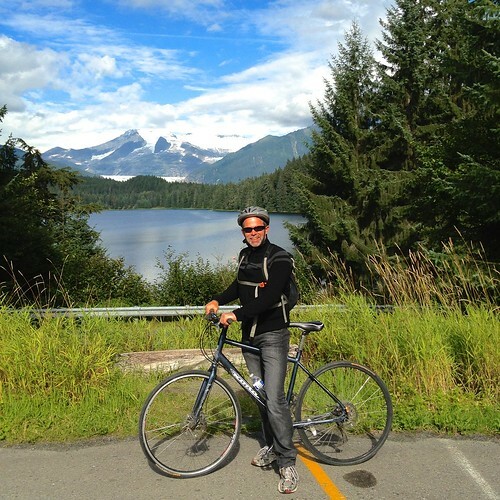 In Juneau, we biked around Mendenhall Glacier. 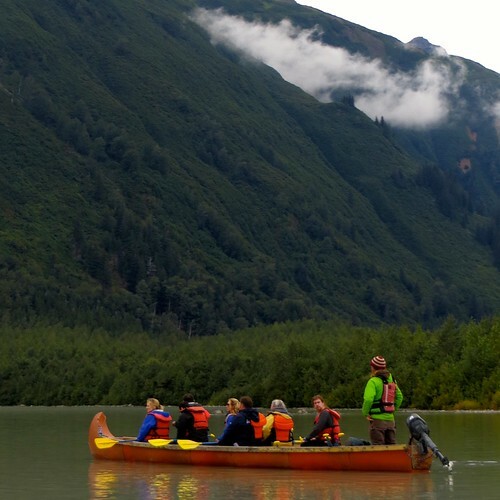 In Skagway, we took a canoe trip to see Davidson Glacier. 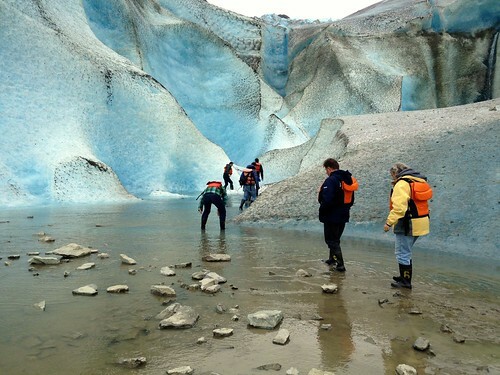 We were lucky enough to hike into (and across) the ice. Fantastic! 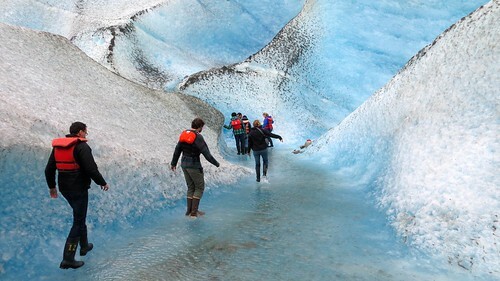 This glacier excursion stands as one of my peak travel experiences. We got up-close and personal with the blue of the ice. In Ketchikan, we did an obstacle and zip-line course in the rain forest. We only had a few hours in Victoria, where we ate seafood and walking the waterfront. We had a damn good time in Alaska. It’s not on our “must return” list (as Scotland is), but it’s close. Next up? In late February, Kim and I plan to visit Hawaii. As for me, I leave for three weeks in Ecuador on Thursday. Hasta pronto, mis amigos! I’m going to charter a sailboat in the Florida Keys. I hope a lot of it looks like this. 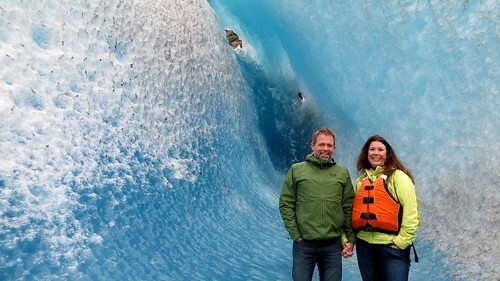 My wife and I went to Alaska for 17 days in May/June… it was beautiful! We were more central Alaska (Denali NP, Valdez, Kenai Peninsula, etc)… and just loved every minute up there. Amazingly beautiful. Good stuff JD, thanks for sharing those pictures. Alaska is definitely on the list for me, not so sure about a cruise though. My wife said “no” to the traveling the country in a bus idea (have you checked out Hank Bought a Bus?) so my latest, actually long-time, dream is to find some wooded land, build a little cabin – maybe from a shipping container – and slowly build some mountain bike trails through the woods. Your post brings back a flood of memories. 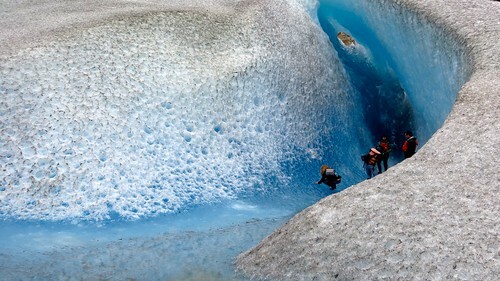 I participated in many of the same excursions – biking Mendenhall, rafting in Skagway and Ketchikan rope course – when I was there five years ago, although my trip was by land and plane. J.D. – I’ve told myself I never ever ever will go on a cruise – but that looks like one cruise I might actually go on. Were all of the activities included as part of the cruise? Do you have a link to the operator and how much did it set you back? Cruise ships are HORRIBLE polluters and overconsumers of resources. Not to mention many are run by poorly paid staff who are basically little more than slaves. Way to dominate the world!